Heraldic vectors pack with royal patterns. Black-and-white geometric tiles for seamless patterns with royal symbols. 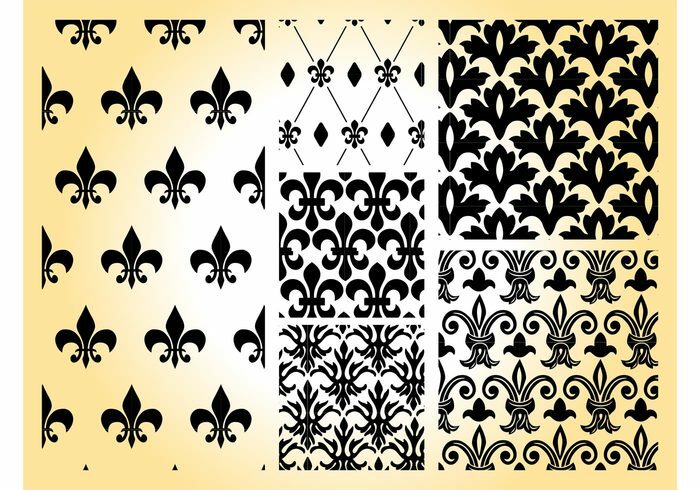 Different versions of silhouette fleur-de-lis images. Free vector designs to create wallpapers, backgrounds, backdrop images, posters, clothing prints and fabric patterns images.